Religion is a topic traditionally not discussed in mixed company. But what do we lose when we avoid exploring our religious differences? Oregon is among the states in the US where people are most likely to identify as religiously unaffiliated. Many Oregonians have spiritual practices that both align with and transcend institutional definitions. Others filter strongly held values through religious traditions and frameworks. What are the tools we use to talk about religion without dismissing others’ beliefs or flattening the beautiful and sometimes harrowing complexities of our experiences? a free conversation with Elizabeth Harlan-Ferlo. Harlan-Ferlo has created extensive curricula on religion and intercultural competency and served for nine years as an Episcopal school lay chaplain. She is trained in facilitation for community, conflict, and collaboration with a creative arts focus. 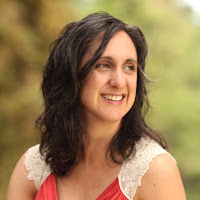 Elizabeth holds an MFA from the University of Oregon and her poetry has been published in many literary journals, including Fourteen Hills, Anglican Theological Review, and Tupelo Quarterly. She hosts the Eavesdrop podcast and curates the Artists in Conversation Series for Interfaith Muse. This program is hosted by the Tualatin Public Library and sponsored by Oregon Humanities. Through the Conversation Project, Oregon Humanities offers free programs that engage community members in thoughtful, challenging conversations about ideas critical to our daily lives and our state's future.